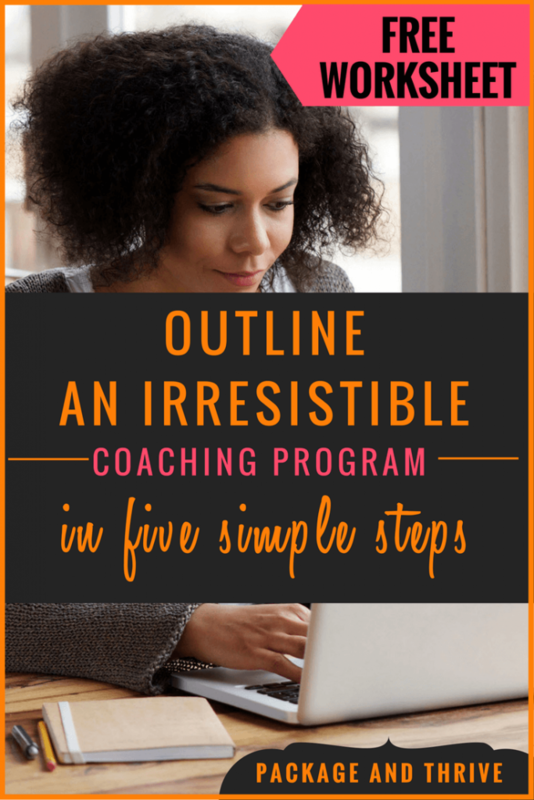 For many years, I thought about starting my online coaching and training business… and thought much more than I took any action towards it. I allowed the very many questions I had and my (strong) perfectionist tendencies to hold me back from seriously getting a go on it. I wanted to have all the ducks in a row. But they never wanted to cooperate – there always seemed to be that one duck or the other that was out of the row 🙂 Go figure. Will I really be successful soon enough, or will I get broke before I become successful? As you can probably tell, my fear is largely related to my finances – my ability to keep taking care of myself. As far as my finances go, I feel that they’re at the lowest that they’ve ever been in the last five or so years. Yet, in spite of this fear, I find myself not being able to ‘go back’ to doing my ‘offline’ income generating activities. The offline training and coaching. The consulting gigs. I enjoyed doing these for a number of years. But right now, when I think about taking on such assignments, my ‘spirit’ rebels. I’m re-acquainting myself to paying attention to my gut, so if I sense a ‘No’ in relation to something, I’m learning to trust that guidance. So I suppose doing those offline gigs are no longer an option – at least not right now. So how do I go on right now before the success comes? 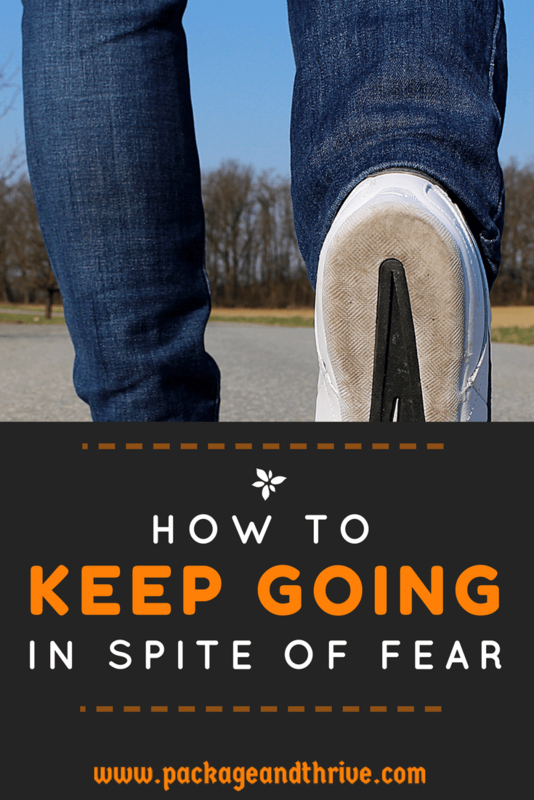 I’ve got to tame my fear and keep going in spite of the fear. So here’s what I’m (mostly) doing to keep going in spite of the fear. This time round, I’m committed to making sure that my online coaching and training business starts and becomes successful. The past 10 or so years I’d just been mostly thinking about starting the business, with very minimal (if any) action towards it. You know how it goes… You decide you’re gonna start your online business, and then you go into panic mode. Because you realize there’s SO MUCH that you don’t know that other people seem to imply you should know for you to be successful. So you go on a self-education binge to get ready to launch your business. Just when you thought you’ve learned THE thing you need to learn and are now ready to start your business, you find another thing you need to learn. The truth is, there is and always will be something new to learn. The best thing you can do right now is: just start. Determine what your BEST first step should be. Start with the first thing and implement it, and learn as you go. Learn on the job. Keep DOING. Take ACTION. Don’t learn and learn some more and hope to implement later on. That doesn’t always work out very well. Yap. That’s been a tough one to swallow. I mean – perfect? According to whom? 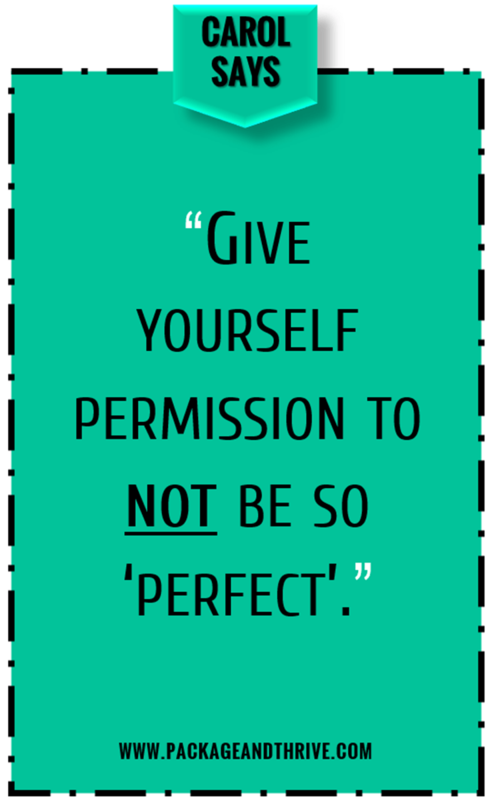 Trying to make everything perfect has cost me lots of years – seriously. So my mantra right now is get it up there and fix it later if necessary. I think this one contributes A LOT to calm my nerves enough to allow me to focus on the things I need to do to get my business up and running. I know that as long as I’m worried about how I’ll make ends meet, I won’t really work on my business. Truth be told, once I calculated my expenses, the actual number was much smaller than I’d imagined it would be. Once I worked out this number, I then had to figure out how to make sure that I’m bringing in that amount each month. I also looked at how to reduce my monthly expenses by cutting out unnecessary expenses or choosing less expensive options where possible. For instance, I’ve learned how to build my own website and do other ‘techie’ stuff rather than hiring someone to do it – for now. I’m also learning what I REALLY need RIGHT NOW and what can wait till later on. This education has been priceless. It calms down the FOMO mentality (fear of missing out) and allows me to really focus on what’s IMPORTANT right now; what will support me in taking the best next step to grow my business. I’ve got a BIG goal – the BHAG (Big Hairy Audacious Goal), as Collins and Porras refer to it in Built to Last. It’s a clear, compelling, and absolutely scary goal 🙂 But I’m pretty realistic. I don’t expect to achieve the BHAG within a month, or six months, or even a year. In the meantime, I’ve created smaller ‘mini-goals’ that are all driving me towards my BHAG. For instance, I have mini-goals related to building my audience (email/newsletter subscribers), which is really important in helping me create a sustainable business. I’ve also got mini-goals related to the income I generate from my online coaching and training business. I want to hit these goals step-by-step and learn as I go along. I’m also celebrating each of the mini-goals that I reach because I know that each ‘win’ is taking me closer to my BHAG. However, this plan is not carved in stone. Since I’m the Chief Experimenting Officer (CEO) 😉 of my business, I’ve given myself permission to improv or ad lib as I go. I’ll do things that work and that make me happy – that’s the key criteria. If something doesn’t seem to be working FOR ME after giving it a decent chance to work, then I’ll stop doing it and do something else. So far, these are the key things I’m doing to tame my fear and keep on keeping on as I trudge towards “success”. 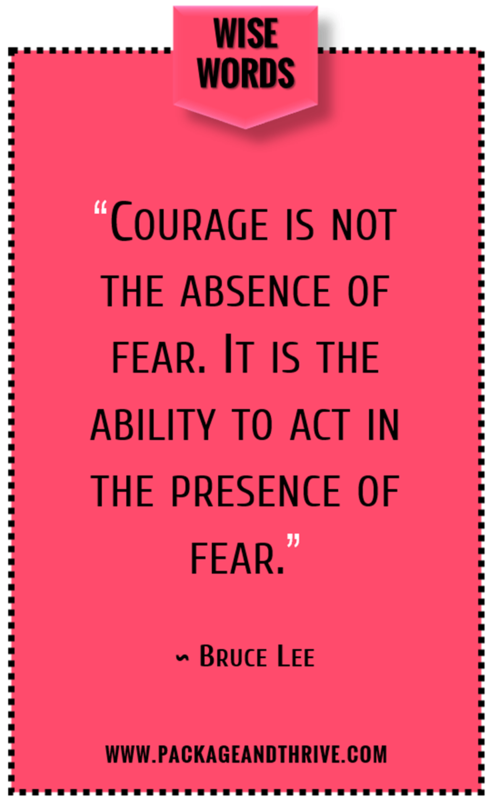 What are YOU doing to tame your fear and keep on in spite of it?